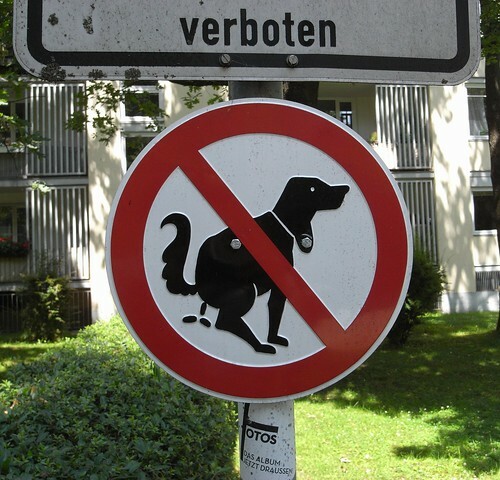 Hundsheisse Verboten, originally uploaded by Eric Jeschke. I love international signs. Could this be any clearer?